ComiXology brings on the vampires this weekend with a sale on True Blood, the comic based on the HBO show: Graphic novels are $4.99, single issues are 99 cents, through Sunday evening. You’ll have to act fast to take advantage of their other weekend sale, the Marvel vs. sale (Marvel Universe vs. the Avengers, Marvel Universe vs. the Punisher, etc. ), as it ends this evening. The big sale on Dark Horse Digital this weekend is science fiction comics, with issues of Aliens, Battlestar Galactica, The Bionic Man, and more for 99 cents each. 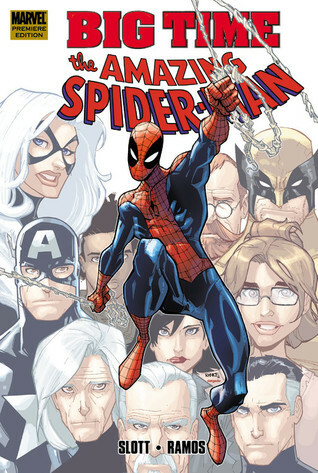 Amazon offers big-time savings on Dan Slott and Humberto Ramos’s Spider-Man: Big Time in the Kindle store, marking the graphic novel down to $1.99. Not into superheroes? Check out Joe Hill’s horror story Locke & Key; the first volume is just $4.49 on Kindle. And for something truly alternative, check out the first volume of John Allison’s Bad Machinery for just $2.99. Here’s the full Amazon deals page so you can check out all the bargains.